The 21st century witnessed major changes in the financial environment surrounding bank regulators and banks. Banking and Monetary Policies in a Changing Financial Environment delves into three of these developments and challenges. The first change in the financial environment relates to the rise in the number and sophistication of financial and economic crimes which shaped the international regulatory architecture. New rules and regulations led to the creation of new strategies to combat these crimes, especially those concerning the spread of more advanced money laundering methods and techniques, terrorist financing after the 9/11 attacks, and the proliferation of weapons of mass destruction. The second development concerns the global financial crisis of 2008 which drastically affected the regulatory environment of various international and domestic financial authorities causing major changes in bank lending and corporate governance policies, and in the development of the Basel III accord on capital adequacy for bank supervision. The third development manifests itself in the creation of a major European monetary union without a fiscal union and a giant European central bank impacting the conduct of monetary policy. 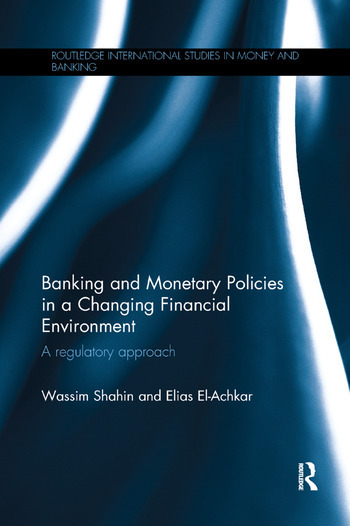 This book combines theory, policy, regulation and institutional approaches with empirical testing, analyzing applications and case studies of various international regulatory authorities and administrations, countries and jurisdictions, central banks and commercial banks. This volume is suitable for those who study international finance, Banking and white collar crime. Wassim Shahin is Professor of Business Economics and Assistant Provost for special external projects at the Lebanese American University in Lebanon and served as the founding dean of the school of business in the same institution on its Byblos campus from 1996 to 2011. Elias El-Achkar is Director of Research and Statistics at the Association of Banks in Lebanon and a university lecturer.